Zurich: Five-time world chess champion Viswanathan Anand won two, lost two and drew one for a joint third place finish at the blitz tournament of Zurich Chess Classic that concluded here on Thursady. On what turned out to be a decent outing, Anand had to bear the brunt of losing to Norwegian Magnus Carlsen, who had beaten him in the last World championship match at Chennai, and Levon Aronian of Armenia. 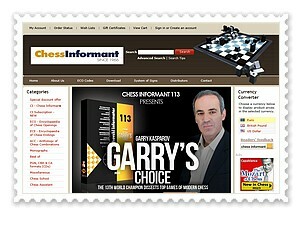 While he posted victories against Fabiano Caruana of Italy and Boris Gelfand of Israel. The Indian ace played out a sole draw against American Hikaru Nakamura to tally 2.5 points out of a possible five and finished fifth in the tiebreak following a three-way tie for the third spot. 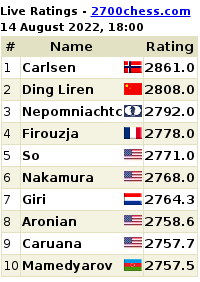 Carlsen trailed the field in the first three rounds where he scored just one point but won his last two games to finish first along with Aronian, who also scored three points. Gelfand ended last scoring 1.5 points in all. Carlsen suffered his first defeat in the very first game that he played as the world champion. Italian Caruana swept the number one ranked off the board in almost no time with black pieces displaying fine tactical acumen. After a first round loss, Carlsen played out two draws and his first victory in the blitz came against Anand in a game that will haunt the latter at least for a few days. It was an innocuous opening, almost never tried in top level chess, from where Carlsen got a dangerous king side attack and won in a mere 21 moves. In the final round, the Norwegian again won at the expense of Nakamura and pipped Aronian at the post thanks to a better tiebreak. 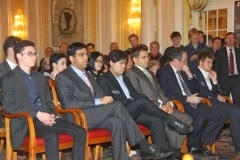 For Anand, too, the event started with a loss against Aronian but the Indian pulled himself up quickly to beat Caruana. Then came a draw against Nakamura and after losing to Carlsen, Anand made short work of Gelfand to land in the tie for third. The blitz tournament also decided the draws for the classical tournament, wherein Anand will now get three black games out of a possible five.